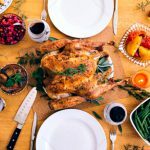 Avez-vous faim? (Are you hungry?) 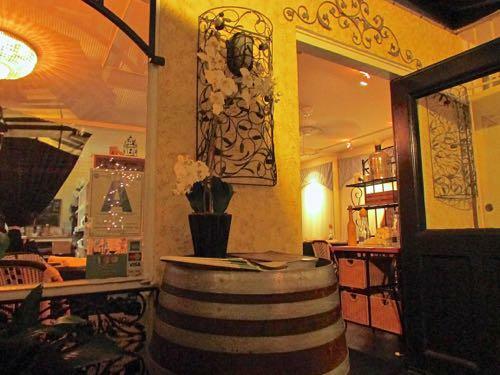 If you have an appetite for French food, we highly recommend Finch’s Bistro & Wine Bar. This La Jolla restaurant isn’t just serving cuisine that’s European-inspired, it’s offering ambience that is. 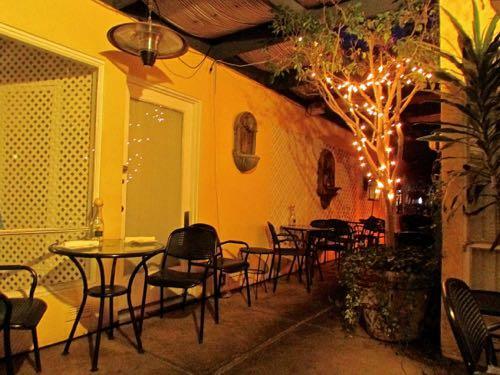 This cozy restaurant is tucked down a lane on Garnet Avenue, hidden between 2 shops and 1 medium-sized fountain. 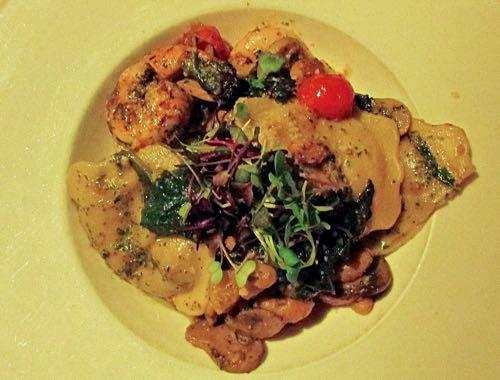 Read on to get a feel for the food, drink and daily specials. Start the meal off right with something stronger than water. 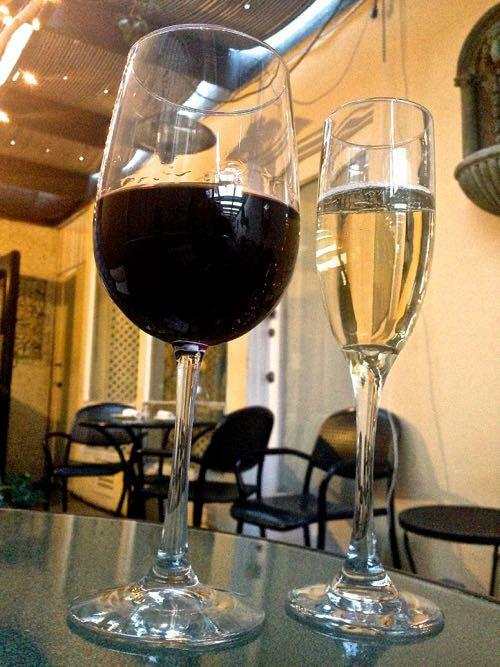 Finch’s Bistro & Wine Bar has an extensive wine list and cocktail menu. If you’ve already decided on your main course and are unsure on pairing, we recommend asking the staff. They are very knowledgeable and happy to hear your preferences before making a suggestion. There are a wide variety of appetizers. 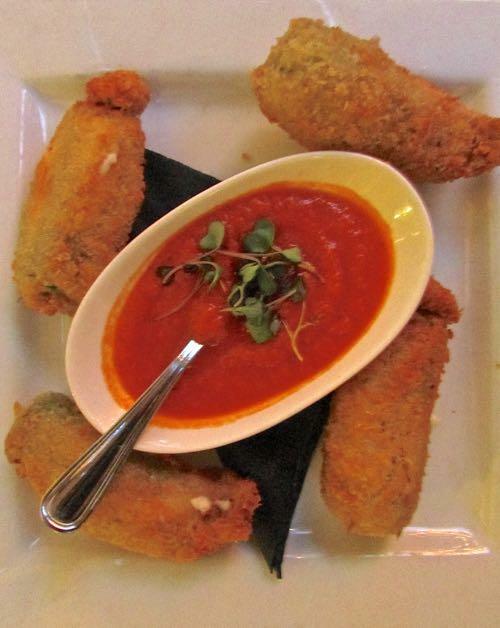 The Stuffed Squash Blossoms are a lighter, more upscale version of mozzarella sticks. These small squashes, heaven for savory-flavor lovers, are individually packed with herb goat cheese, crusted with Panko and served with tomato coulis. For a lighter starter, we recommend the Tomato Burrata Caprese. Refreshing tomato slices are layered with basil and Italian-imported mozzarella that’s cool yet pulls apart like warm butter. 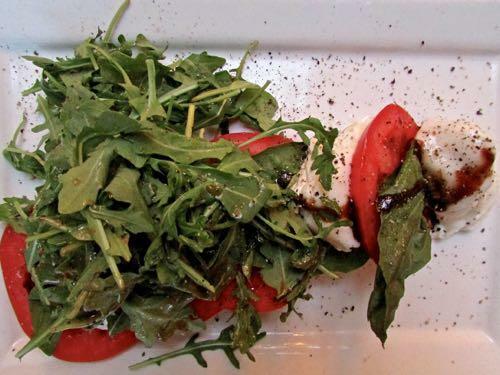 Adorned with arugula and balsamic vinaigrette, you may as well be in Europe. 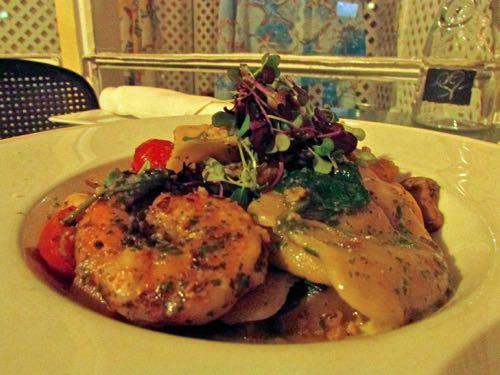 From multiple lamb dishes to shrimp-based entrees, the menu here is updated quarterly to reflect seasonal produce and guests’ tastes. One page long, it’s short and sweet, offering enough diversity to accommodate a variety of palates, but not so long your mind is tired out after scanning it. Lamb Rack Romana is made up of savory, comfort favorites like roasted fingerling potatoes, which are served extra hot and butter-loaded. 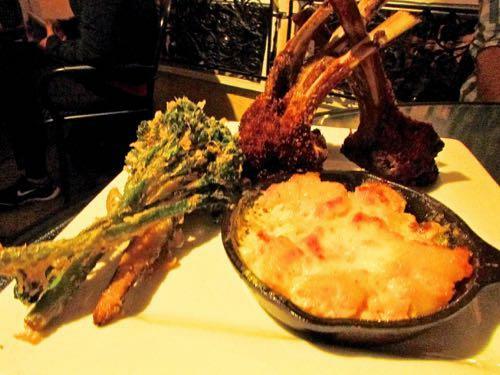 The broccoli tempuraand honey mustard aioli nicely set off the lamb itself, which is served herb crusted and crispy. No matter how many squash blossoms you tucked into earlier, we recommend getting a dessert. 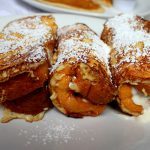 With options like Nutella Creme Brulee and Peach Cobbler, you can always split it with fellow full diners. The salted caramel bread pudding is good on its own but really taken to the next level when paired with cool vanilla ice cream and thick caramel sauce. Sparking reminders of funnel cakes and bakery pastries, it seems to conjure up a feeling of nostalgia. The chocolate cake with black cherry ice cream is ideal for those who love their sweets both fruity and chocolate-based. 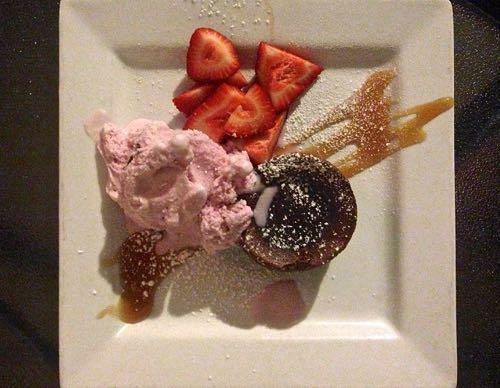 Served with fresh strawberries, the best part of this dish is how the hot, lava-centered cake contrasts with the ice cream’s cold temperature. 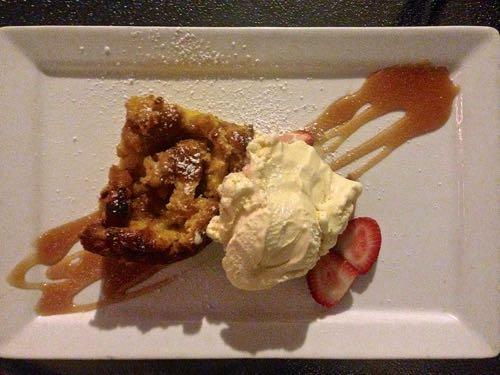 Though delicious, our top vote has to go to the salted caramel bread pudding. At nighttime, the twinkly lights come on, as does the mood music. 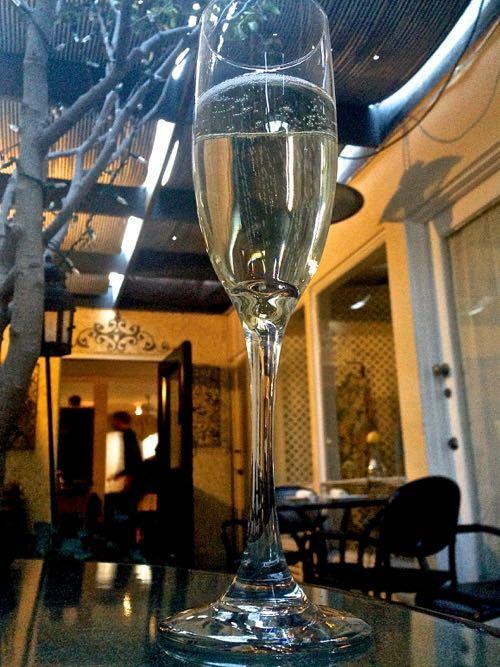 Though ideal for a variety of events and celebrations, this spot is best for date night. Whether you’re taking your honey out for an anniversary or simply want to spend time together, romance is the prominent tone. Here earlier in the day? The vibe is similar, though somewhat distinct in La Jolla’s day time. Get a feel for a midday meal experience at our blog La Jolla’s Most Hidden Restaurant: A Treasure Worth Finding.